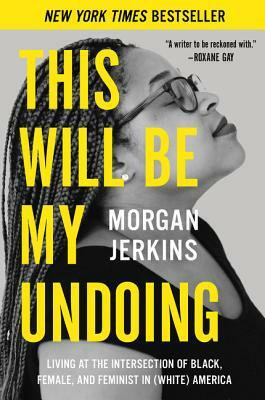 Morgan Jerkins is a star, a force, a blessing, a scholar and a critic, and now can add great American essayist to that list! I found myself sighing, nodding, gasping, laughing, and crying while reading this collection–but mostly cheering! We can all sleep well at night knowing this country will inherit heart, mind, and soul like this. It’s safe to say I’ve never read anyone this young–barely at quarter life!–who can understand herself, those around her, past and present, with such dignity and clarity and generosity. Intersectionality in America is dissected, investigated, celebrated and challenged all without being pedantic or preachy or pretentious. And Jerkins is the sort of benevolent intellectual you want to spend time with–who will never lie to you, but also will never let you lie to her. I’ve long known that feminism and arts and media owe so much to the excellent work of black women and This Will be My Undoing is yet another testament to that.